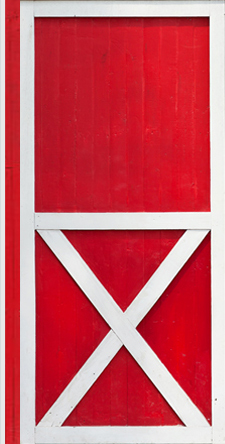 The RED BARN PETTING FARM is exclusive in that it provides a "UNIQUE ALL AMERICAN EXPERIENCE." Groups come from around the world to experience this real life hands-on farm life adventure. Daily shows provide: Puppet friends, hayrides, historical artifacts, walking tours, and interaction (with understanding) of farm animals. All shows come with a free hayride and a Red Barn Activity Book. A covered pavilion is provided for outdoor activities and meals, and an enclosed Original Red Barn is also available for inside events after the show. See and feed the rare" Crucifix Donkey", one of the world's largest roosters, and some of the smallest mini animals ever. The farm is also available for youth groups, anniversaries, birthdays, church activities, company events, reunions, and more. All uniquely designed just for you and your party.